Key copier for Temic Crypto 8C transponders. This software module helps you to copy Temic Crypto 8C keys from Mazda,Ford Ranger and Proton. Software writes on NOT-LOCKED TK5560 or TK5561 Temic Crypto transponders. 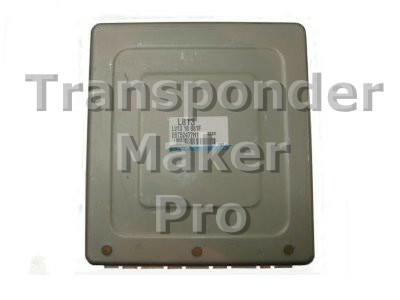 You can check your transponder simply by reading it - you will get information if it is or unlocked..
Mazda,Ford,Proton immobox Lucas,Mitsubishi with Temic Crypto transponder Memory device is Motorola MC68HC805P18 QFP44 package or Motorola HC05B16 PLCC52 package. For reading Motorola MC68HC805P18 you can use MC68HC805P18 adapter . Expected file size for Motorola HC805P18 is 128 bytes, for Motorola HC05B16 is 256 bytes. 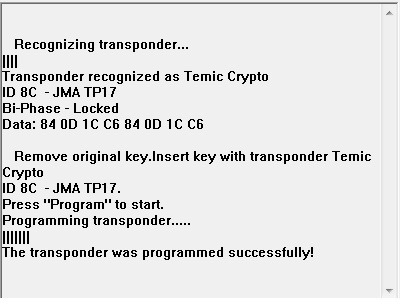 Software writes on NOT-LOCKED TK5560 or TK5561 Temic Crypto transponders. 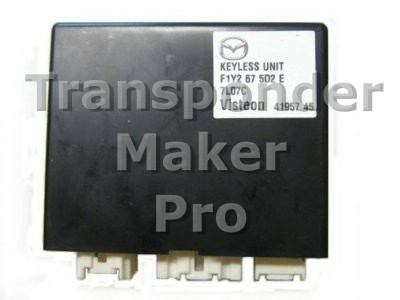 It is not possible to use dealer Ford or Mazda 8C keys,because they are factory locked! You can check your transponder simply by reading it – you will get information if it is locked or unlocked. Written transponder is ready programmed to start the vehicle. Texas Crypto 4D-63, 4D-64, 6D-72 new chip. 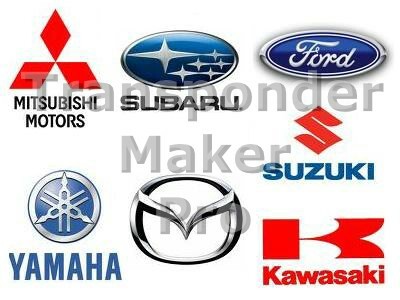 – Texas Crypto 6D-72 Toyota G with password 36, 56, 96, 37, 57 and 97. For Toyota G preparation only CN2/CN5 or K-JMD is possible to be used. 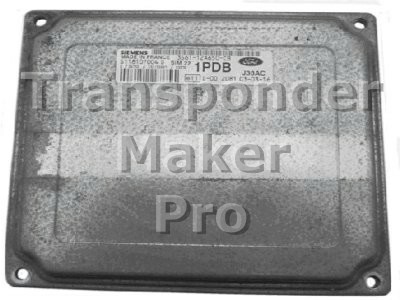 Prepared transponder you can program to car using diagnostic OBD2 device. Mazda 6 diesel ECU Denso Memory device is serial eeprom 93c86 SMD8 package. Expected file size is 2048 bytes. Use JMA TPX2 – Errebi TX2 or CN2/CN5 or K-JMD or YS-01 transponder. Written transponder is ready programmed to start car. IMPORTANT NOTE: Conversion from 4D-60 to 4D-63 is possible ONLY if last byte of serial number of transponder is 01.If you can`t find such transponders, you can use software 157. 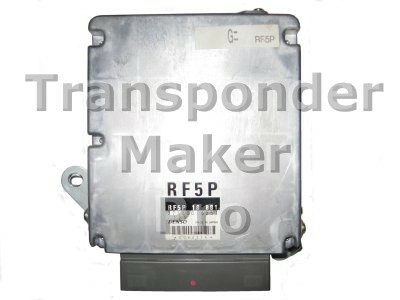 This module can prepare PCF7935 or Silca T15 - JMA TP14 transponders, so they become ready to be matched with particular car using diagnostic device and PIN code. 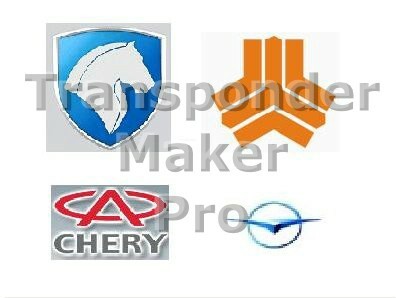 There are 5 types supported: Samand/Saipa, Chery,Hainan Mazda and Chang Cheng. If you are not sure about key type of your car, read original key and look at last 3 bytes of data. Then at selection menu of module choose same type. Mazda RX-8 immobox Visteon Memory device is serial eeprom 24c02 SMD 8 package. Expected file size is 256 bytes. Use JMA TPX2 – Errebi TX2 or CN2/CN5 or K-JMD or YS-01 transponder. Written transponder is ready programmed to start car. Mazda 6 engine ECU Mitsubishi Memory device is serial eeprom 24c02 SMD 8 package. Expected file size is 256 bytes. Use JMA TPX2 – Errebi TX2 or CN2/CN5 or K-JMD or YS-01 transponder. Written transponder is ready programmed to start car. 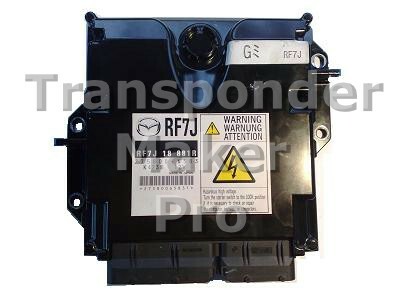 Mazda 6 engine ECU Denso Memory device is serial eeprom 93c56 SMD 8 package. Expected file size is 256 bytes. Use JMA TPX2 – Errebi TX2 or CN2/CN5 or K-JMD or YS-01 transponder. Written transponder is ready programmed to start car. Ford,Mazda engine ECU Siemens Memory device is serial eeprom 93c56/93c86 8 pin SMD package. Expected file size is 256/2048 bytes. Use JMA TPX2 – Errebi TX2 or CN2/CN5 or K-JMD or YS-01 transponder. Written transponder is ready programmed to start car.